While a great digital strategy can help your business grow, trying to take shortcuts with your strategy can kill your credibility and momentum. We at HIVE strongly believe that the foundation of a great digital marketing campaign is a refined and detailed strategy and that in order to have long term and lasting success with your digital marketing time must be invested in your strategy. While few will argue that having a great digital strategy is pivotal to a great campaign, many are tempted to take some of the following shortcuts in order to avoid putting in the time and allocating the resources necessary to creating a campaign that lasts. Don't be that guy. You may produce some quick results upfront, but you'll undoubtedly pay for it in the long run. Thinking about buying that email list or some followers for your Twitter profile? DON'T! While it may seem like a great idea to get your hands on a list of emails that are supposed to be those of your target buyers, you will be reaching out to people that did not give you permission to do so. According to CAN SPAM laws, it's illegal to sell a list of email addresses (thus it's essentially illegal to buy one). Fines can be hefty for those that are found breaking this law, but maybe even worse is the fact that you're reaching out to a list of people that aren't expecting to hear from you. The number of your emails marked as spam will likely skyrocket hurting your ability to have future emails reach your database's email inbox. Plus it's just an awful way to reach a new prospect for the first time. Also, think about it, what reputable business is willing to sell their database? Is that something you really want your brand associated with? We totally understand that it can be frustrating starting with a small database and trying to grow that organically, but in the end, it will be much better for your business to do it the right way. As for buying followers, we are having a hard time figuring out a solid reason for doing so. If you're that concerned with the number of followers on your social media pages, is it just to stroke your ego? Like we've talked about before, it's better to have 1,000 followers that are all real people that are interested in your brand and could potentially turn into customers one day than 100,000 followers from another country that don't actually care about your business and will never spend a cent with you. Buying followers can even result in getting your page shut down and occasionally social networks will scrub followers of fake profiles so you could end up losing those fake followers anyway. Just don't waste your money. Do you have defined target personas for your business? If not, it's a must to start with developing them before you take any steps in your digital marketing. HERE is a great resource to start developing great target personas for your business. Think about it - if you're just marketing on guesses and gut feelings or flying by the seat of your pants, how successful can you actually expect your campaign to be? If you're expecting a great campaign without considering your target personas with everything that you're doing, you're going to be sorely disappointed. Your personas should be where every piece of content in your marketing campaign starts. Can you and your team explain in detail what your target personas look like? If not, it's time to reconsider your efforts now before you end up wasting thousands of dollars on a campaign that doesn't produce. Piggybacking on the last point, many businesses try to get through the persona development part of their strategy as quickly as possible. It's not a revenue producing activity (at least immediately) so it's easy for businesses to speed through it to get to the actual marketing, but they do so at their own downfall. One of the steps that gets skipped during the persona development process is interviewing past and current customers. It's tedious, can be uncomfortable, and takes time, but it can reveal much more than you ever expected. We recommend interviewing good and bad current and past customers so you can get an idea of what you want in a customer and what you want to avoid. Taking the time to interview will yield dividends later. Everyone wants immediate results. We all want to be millionaires today, right? Of course we do, but trying to skip long term tactics in favor of pumping money in short term or temporary tactics may produce some quick results, but will hurt your long term goals and your bank account. One of the biggest examples of this is opting to invest solely in pay-per-click advertising rather than investing in search engine optimization. 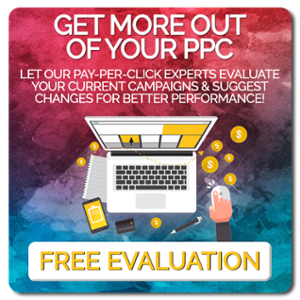 The nice part of PPC advertising is that as soon as your ads are funded and approved, they're live and working to bring traffic to your website, but as soon as the funding dries up, your assets and campaign is gone. By contrast, SEO can take several months to really start producing good results, but you're building a long term plan and campaign that produces assets that live forever. 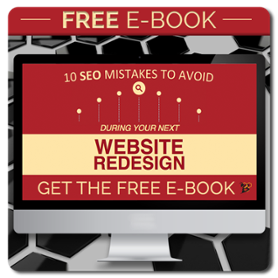 Software can be a great asset for any business, but utilizing a software to run your search engine optimization can have some nasty side effects. It may take the labor intensive work off your hands and even produce results a little quicker than manually working on your SEO, but this is referred to as blackhat SEO. Blackhat search engine optimization practices have been known to result in being blacklisted by search engines. The reason that the software is used is to find and exploit loopholes and essentially work to trick search engines into higher rankings. It's an unethical method of SEO and should be avoided at all costs. No matter how great your initial digital strategy is and how long you worked on it, there is still likely going to be room for improvement. Blindly following your original strategy and not taking into account actual data that is resulting from your campaign is a major mistake. You've got to invest the time in studying, understanding, and optimizing off of your analytics in order to make your campaign a success. 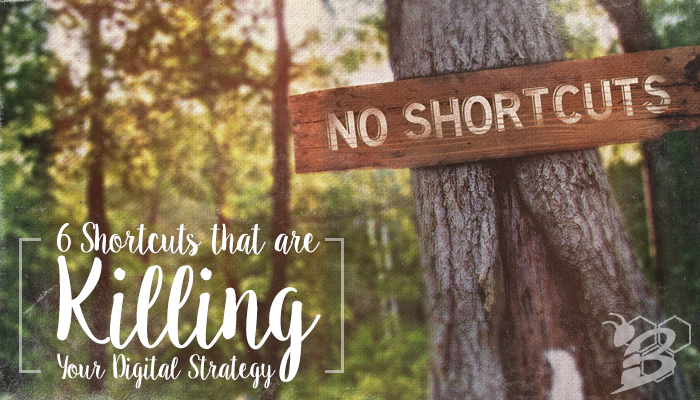 While a strong digital strategy is vitally important to your overall success, succumbing to shortcuts in order to produce faster results will mean sacrificing long term success for a few quick results. Is that a trade off you're really willing to make? Let us help you develop a digital strategy that works with the HIVE GrowthPlan! Our GrowthPlan is specifically designed to be an actionable, informative, and in depth plan that can be implemented immediately throughout all levels of your company. Get started today and start marketing better!